Since the 1970’s Pacific Farms has enjoyed the beauty of the Byron Bay hinterland, building a business and worldwide reputation. We’ve had a lot of help.  Just as old vines can contribute to the character of a wine, so our strain of Macadamia nuts is said to be 60,000 years old. Nurtured in rich, volcanic soils in a climate that’s invariably sympathetic to growth, harvested and processed using industry-leading technology, the result is a nut that however presented, combines health giving properties with an unsurpassed flavour.